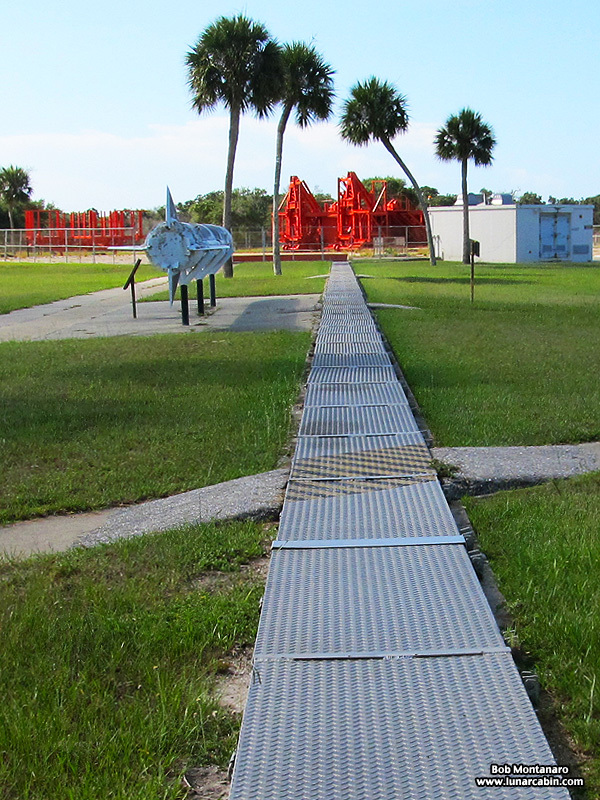 The following images show historic Launch Complex 26 (LC-26) from site visits over the years to the Air Force Space & Missile Museum at Cape Canaveral Air Force Station. 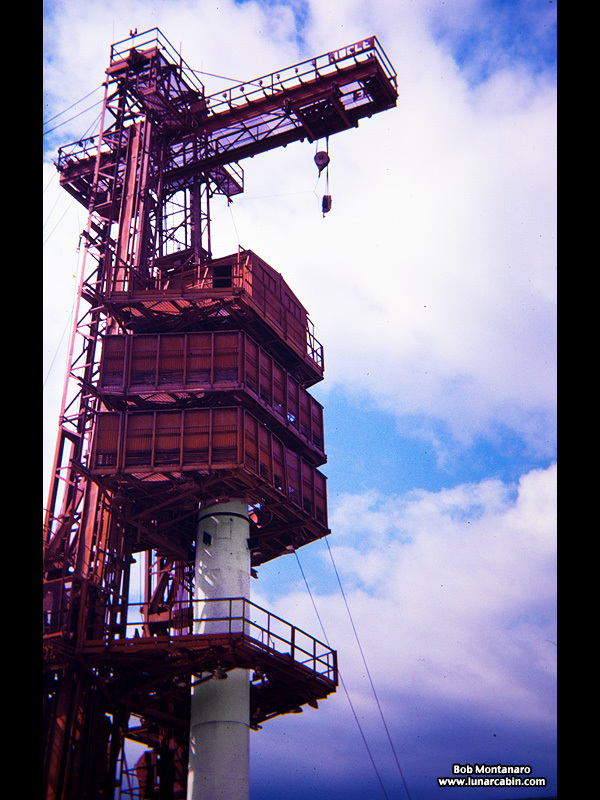 The gantry is undergoing a very long term restoration that began in 2005 and is still ongoing. 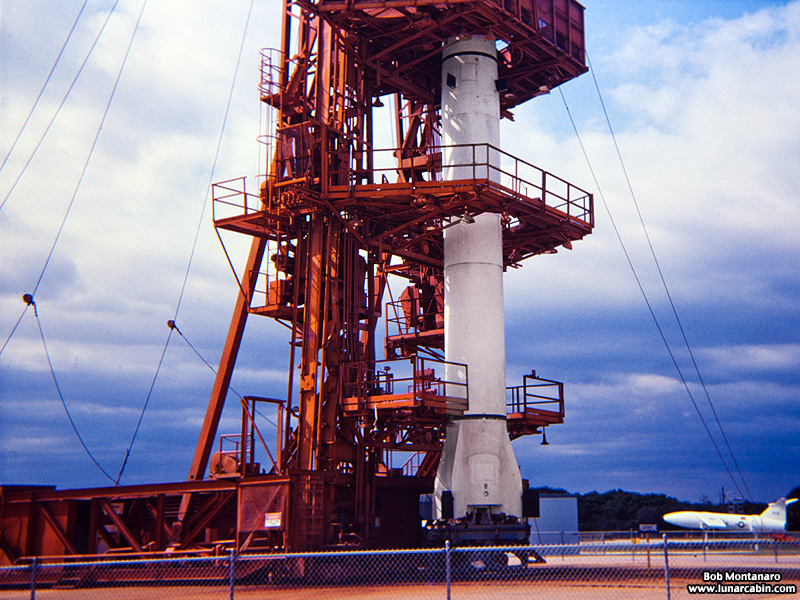 Complex 26 is famous for being the launch site of the United States first satellite on 31 January 1958 to reach orbit, Explorer 1, which discovered the Van Allen radiation belts encircling the Earth. Monkeys were also launched paving the way for astronauts to ride rockets into space. 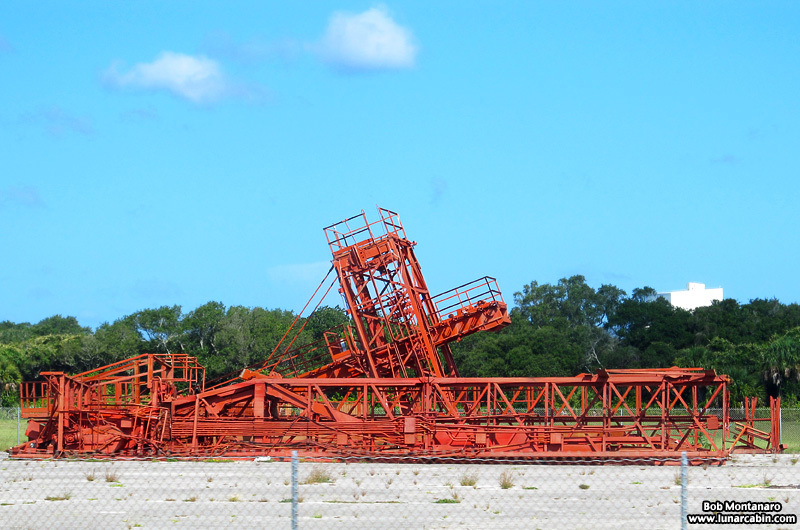 At the time these first three photos were taken this was the oldest standing gantry at Cape Canaveral. 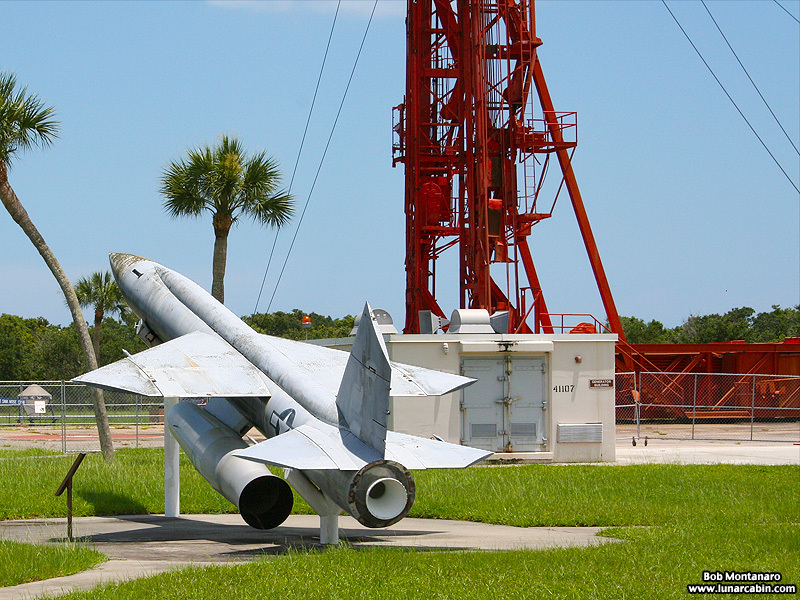 LC-26 was deactivated in early 1960s and eventually became a National Historic Landmark and part of the Air Force Space Museum at Cape Canaveral Air Force Station. That is a Redstone rocket displayed in the gantry. The Complex 26 Blockhouse. 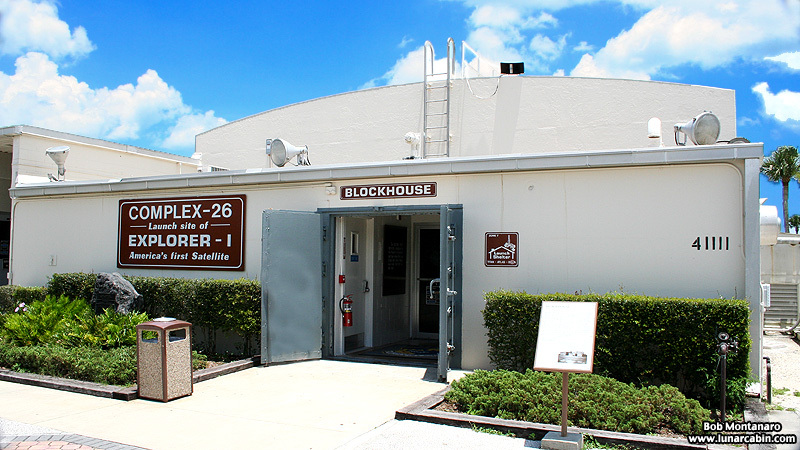 The Blockhouse walls are two feet thick and the ceiling is five to eight feet thick to protect against falling debris in case of a launch mishap. A view from the Blockhouse window reveals the gantry standing on the other side of two palm trees along with other displays. 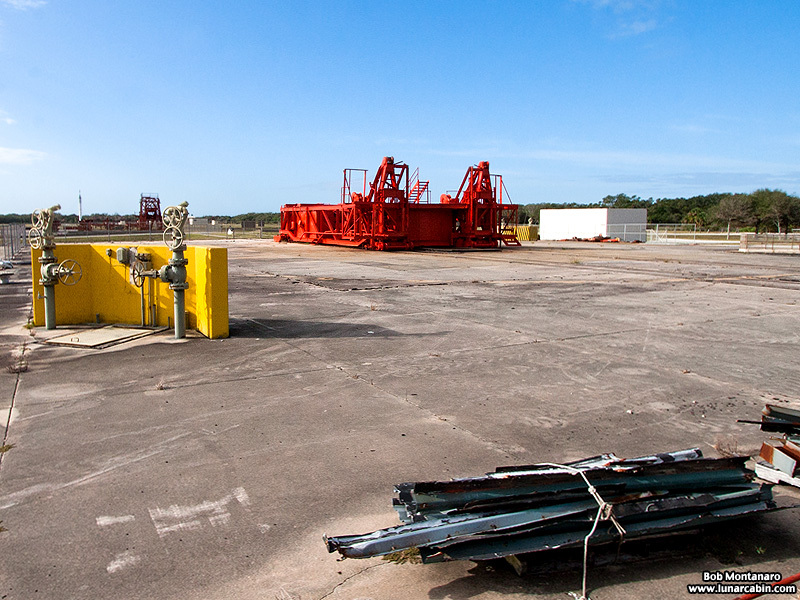 The gantry is reduced to its frame with much of its former structure removed for restoration or on the ground nearby. 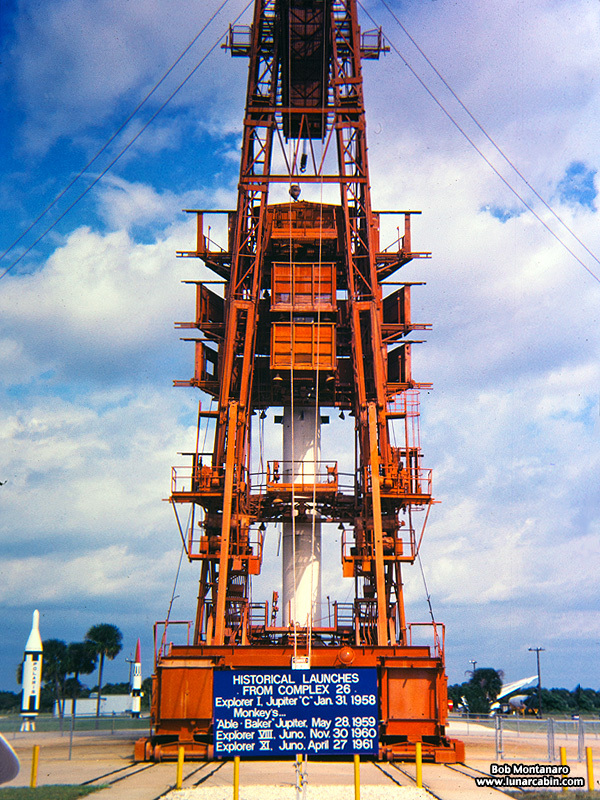 A view past one of the displays in the Rocket Garden of the bottom of the gantry frame. Cables for the electronic gear ran underground 300 feet under the metal covers from the Blockhouse connecting to the launch pad. The following images show various parts of the gantry undergoing restoration. 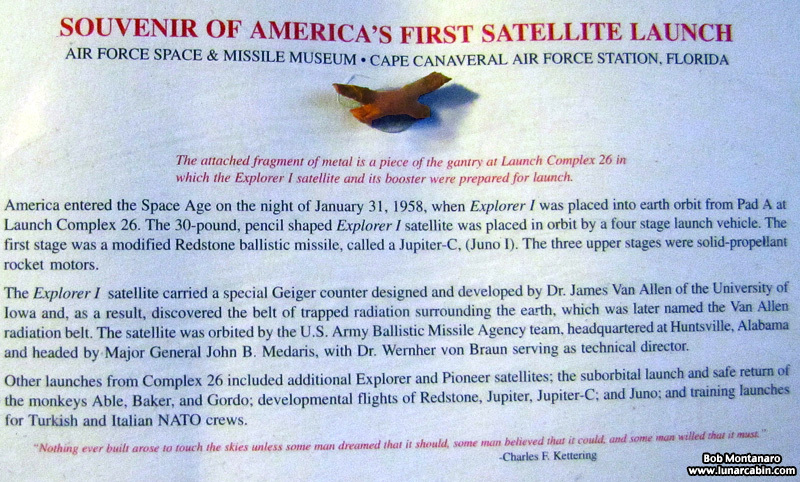 An actual piece of the LC-26 gantry made into a souvenir of the Air Force Space & Missile Museum at Cape Canaveral Air Force Station.